The second Monday of every month is devoted to Macro over at Lens and Pen by Sally’s weekly Phoneography Challenge. 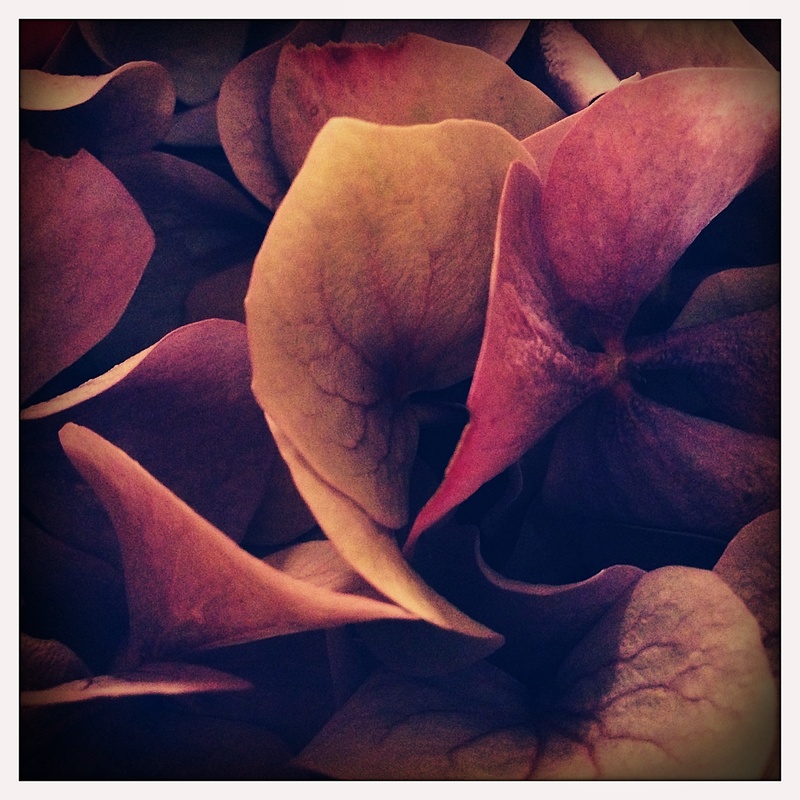 A Hydrangea bouquet from my parent’s garden photographed with my iPhone’s Hipstamatic app and edited in Snapseed. Lovely, lovely, lovely–my hydrangeas are just being to wane. These plants bring me constant joy. Aren’t we lucky to have them as part of our landscape (even your parents’). Happy Phoneography Monday. Thanks Sally – I do feel lucky every time I see these beautiful flowers. We are planting some in our new yard and I can’t wait to see their blooms next year. Thanks Rusha! I sat down in front of the vase last night and tried a few different shots – this one was my favorite. 🙂 Looking forward to seeing your new photos! That is a brilliant shot, Lisa! I really like it. I like how you caught the veins in the petals. Is that the actual color of the hydrangeas or is that part of the editing? ABSOLUTELY BEAUTIFUL!!! Dreamy and so much SOFT MOVEMENT IN this image! Gorgeous shot, Lisa! I have to try Snapseed. Thanks Patti! Snapseed is my favorite app and I have it on my phone as well as my computer, I hope you like it too.